All bodily organs can be damaged or harmed as a result of illnesses or accidents, but when a victim’s brain is injured, the effects can be especially profound and life-changing. 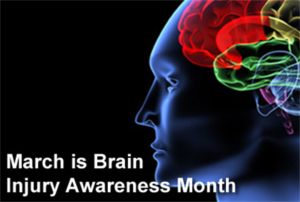 Brain injuries are classified by the amount of tissue damage. A so-called “mild” TBI – most often classified as a concussion – can be “mild” in the amount of tissue damage but be in a part of the brain where the “mild” tissue injury manifests as a permanent and significant loss of brain function – such as the inability to remember, focus, or make decisions. TBIs – even mild TBI’s — can cause victims to experience significant changes in personality, behavior, and cognition. Of course, some TBI victims may need around-the-clock care if they are unable to care for themselves or live independently. Car accidents – The impact of two vehicles colliding can cause TBIs, especially when victims’ heads collide with steering wheels or dashboards. TBIs can also occur due to the brain moving inside the skull at the time of impact or upon sudden deceleration. Motorcycle accidents – Motorcyclists face a high risk of TBIs due to their lack of external protection and safety features. Helmets are highly effective at reducing those risks, but they cannot completely eliminate them. Work accidents – Construction and industrial work-related accidents are another common cause of TBIs, especially when employees frequently work high up on scaffolding and catwalks or near heavy objects that could be dropped. If you or someone you love suffered a TBI for any reason due to another person’s negligence, our Arkansas brain injury lawyers want to help. Call us today for a free consultation.